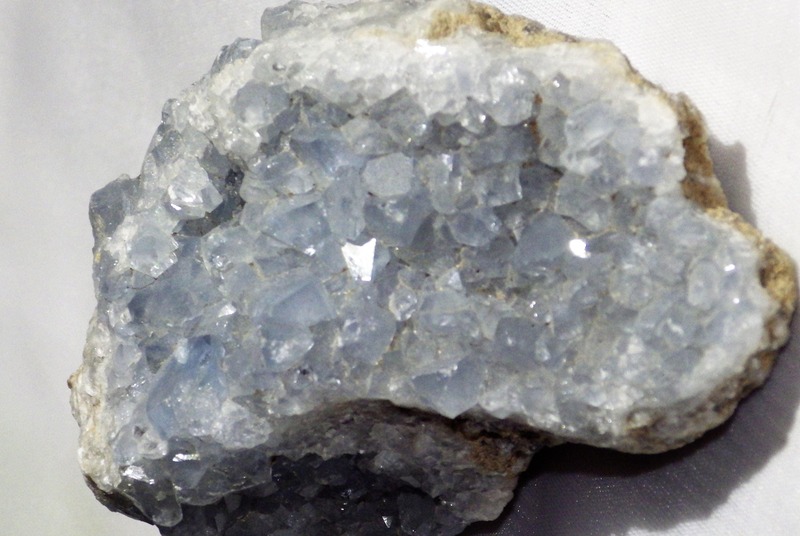 Celestite cluster - soft blue and full of light, sometimes called the angel stone. 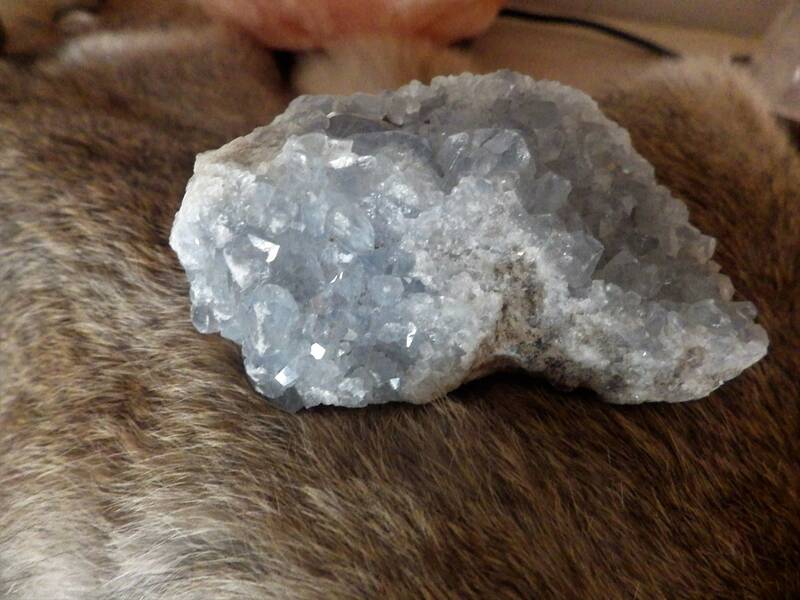 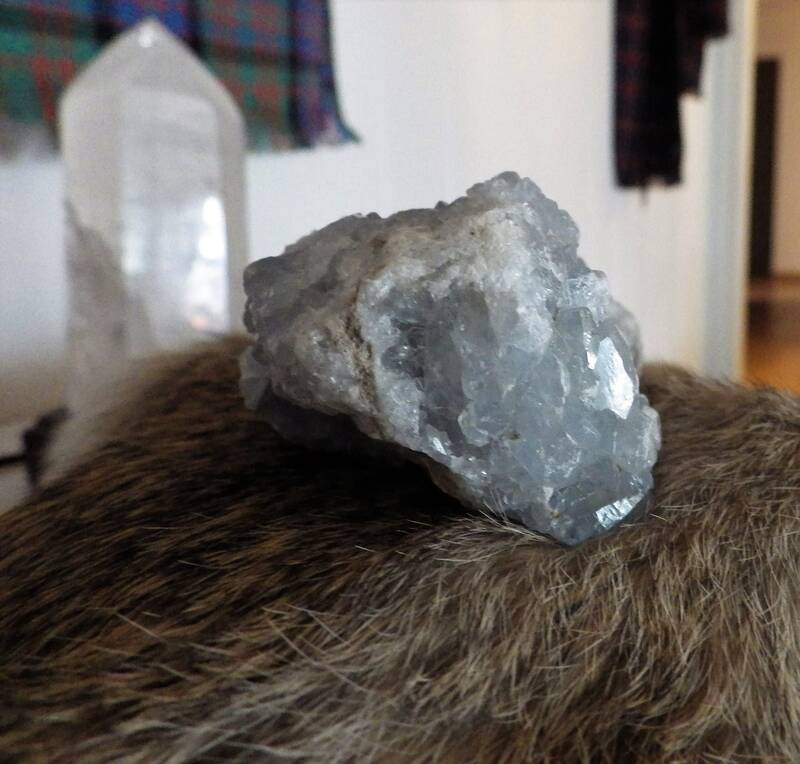 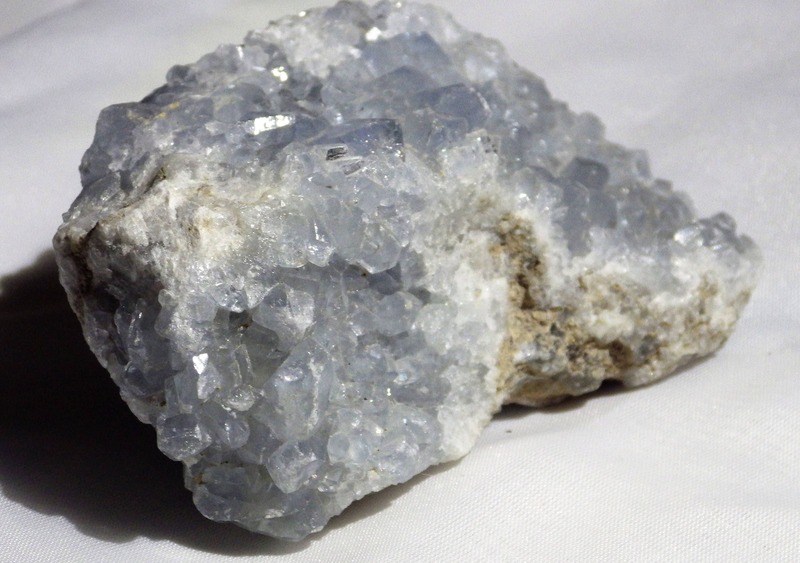 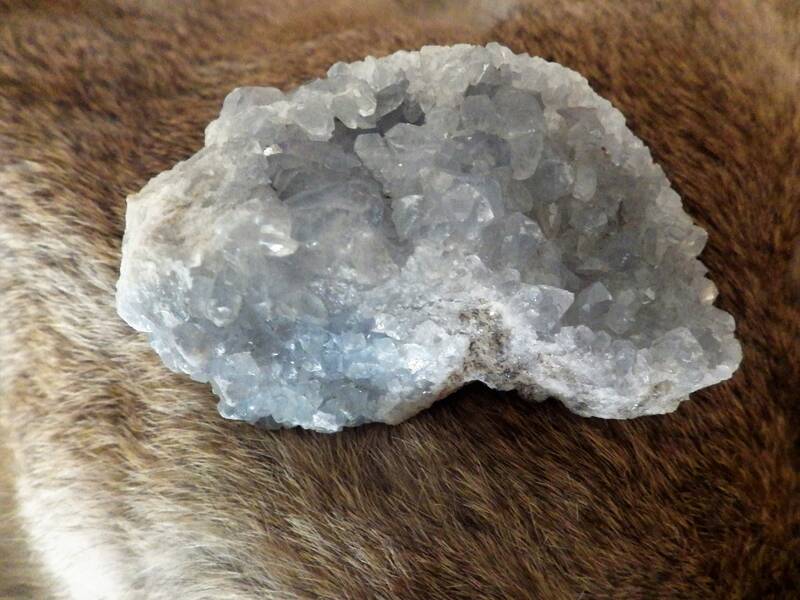 Celestite is a creative stone, especially useful for the arts. 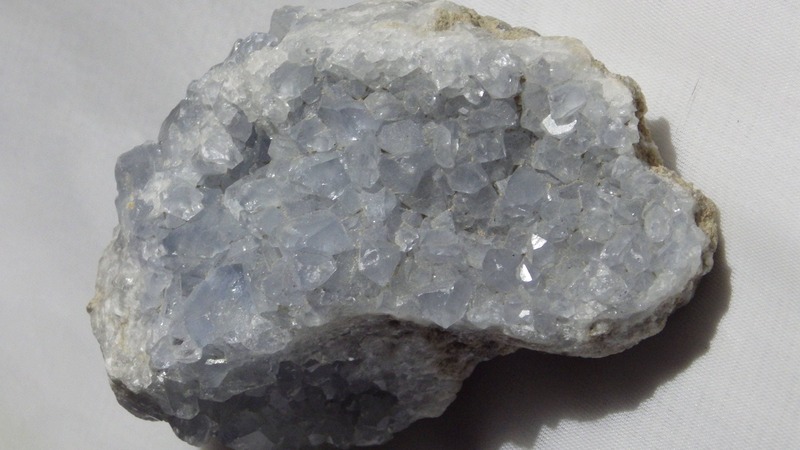 It calms and sharpens the mind, dispersing worry, and promoting mental clarity. 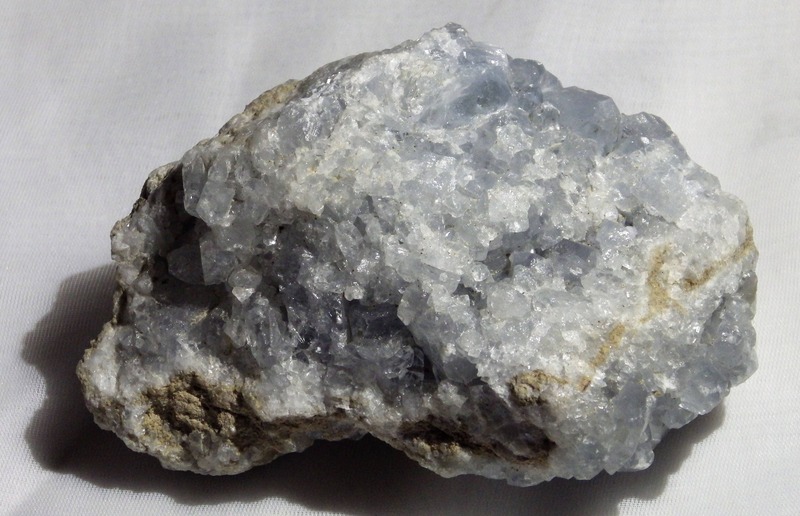 It aids the analysis of complex ideas. 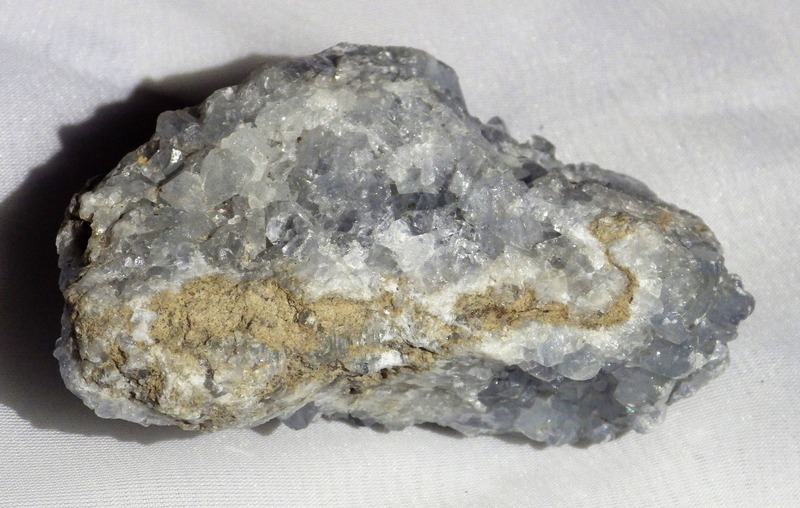 Celestine is the principal source of the element strontium, commonly used in fireworks and in various metal alloys.